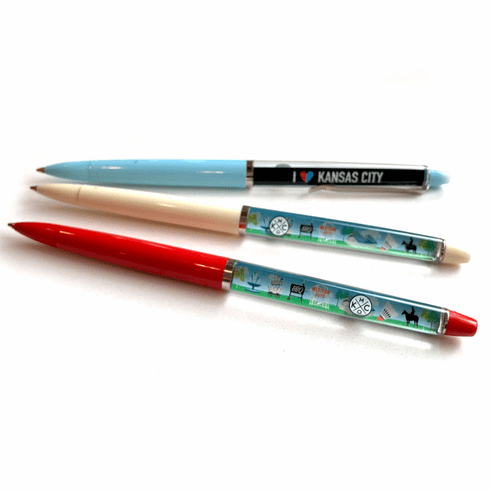 A three pack of our Kansas City float pens! Features our floating KCMO logo and famous icons around the city on one side and I heart Kansas City on the other. Exclusively found at The Bunker.